Breast Cancer Survivor Photos and Visual Concepts on VOA! This past year, I put out a model call for breast cancer survivor photos for an art project to raise money for the Rebecca Fortney Breast Center at Anne Arundel Medical Center. We produced the photo sessions at Visual Concepts Photography studio in Annapolis, Maryland. 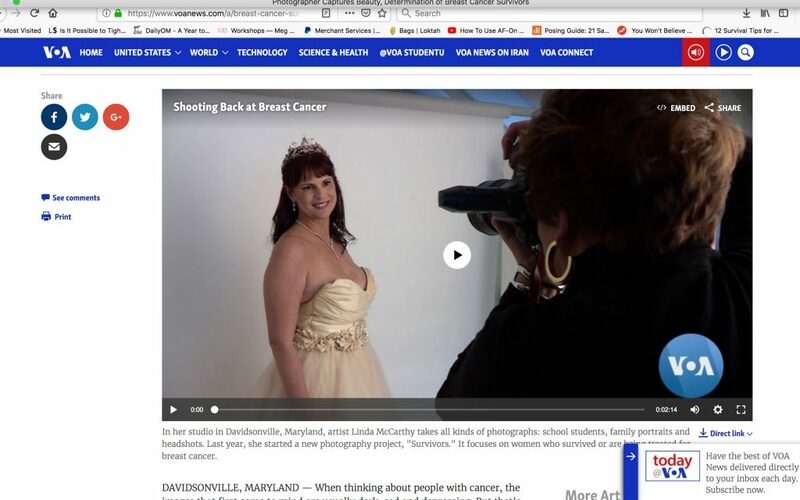 Word of our project got out, and, as as result, our breast cancer survivor photos art project was featured on the front page of the Capital Gazette in Annapolis, MD, last October. Voice of America, a U.S. government-funded international multimedia Agency , also picked up the story. Last November, they came to my home/studio and interviewed Cheryl Listman, a breast cancer survivor, my makeup artist, Victoria Ronan of Natural Looks by Victoria, and me. This video is now on the front page of their website. VOA reaches an audience of more than 236.8 million people around the world and is translated into 45 languages. To view the video, you can click here. 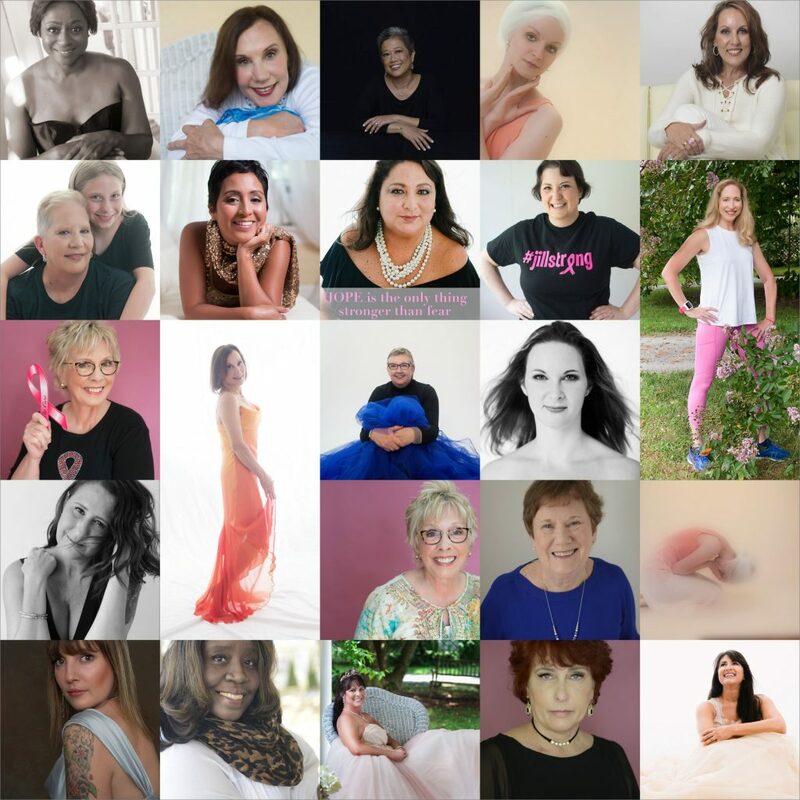 Our main aim with our breast cancer survivor photos project is to create beautiful images of beautiful women who happen to have breast cancer. We want to help these women exist in portraits for their loved ones. One day, these photos will become their most valued treasure. At Visual Concepts, we are now working on a book that will feature our breast cancer survivor photos and their stories. We are currently conducting interviews for our breast cancer survivor photos book. Would you like to be a part of this very exciting project and our growing family? All photo sessions will be considered for the upcoming book on breast cancer survivors that will help those who are traveling the same path. If you are interested or know of someone who is, please click here for more information. -Michael, my Ren Man, my supportive husband and partner. Without him, I would not be where I am today. He is my everything. -Maggie, the Bald Ballerina who took a chance on me when I approached her to take photographs of her. She believed in me and my unexpected turn of events has created in me a love of my craft like none other. She is my hero, she is my inspiration behind all my breast cancer survivor photos. -My sons, Rory and Shaun who have supported me throughout my journey and were my earliest models. I love them to the moon and back. -My makeup artist, Victoria who is always there when I need her. She is the best partner I could ask for and her belief in me sustains me throughout my journey. -Finally, thank you to Selene San Felice of the Capital Gazette who reached out to me to create the article that forever changed my path. You are an amazing writer and your talents know no bounds. I am so grateful that you took a chance on me.